Today I was officially announced as the winner of the kate spade black vespa. It still seem so surreal, but I cannot wait to pick up my vespa in April. 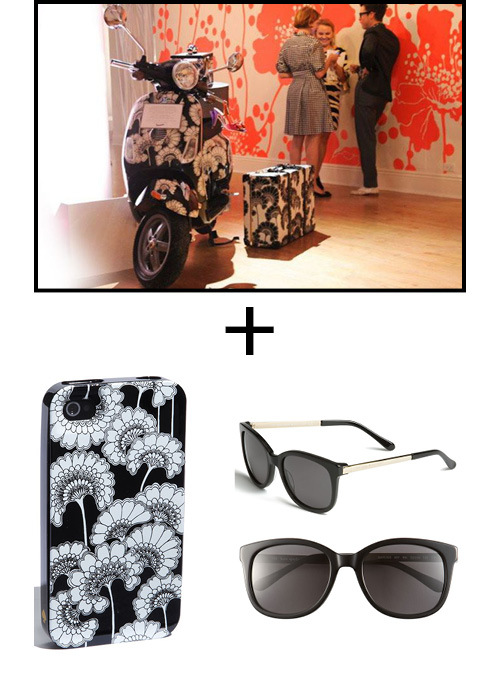 Since I will be riding around Oxford on a floral print vespa I feel like there are a few necessities needed. A cute pair of sunglasses and a matching iphone case will go perfectly. Add a helmet and a scarf, and I am ready to ride.